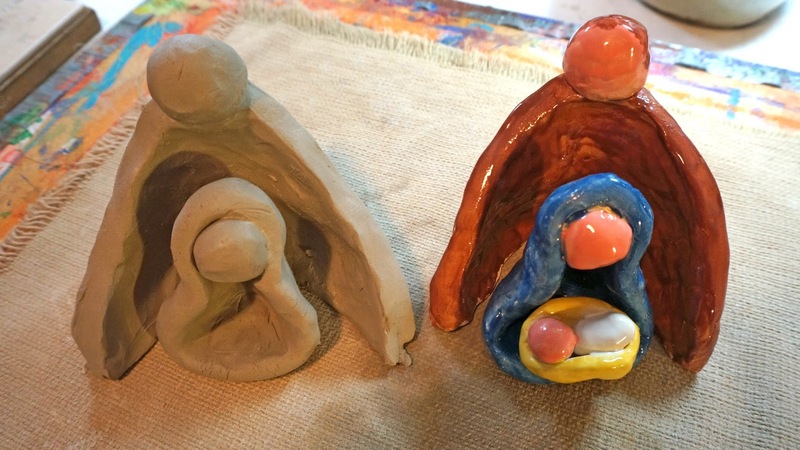 This year Grade 6 did a modern clay nativity. I'm still firing them but my sample is done so I can show you. 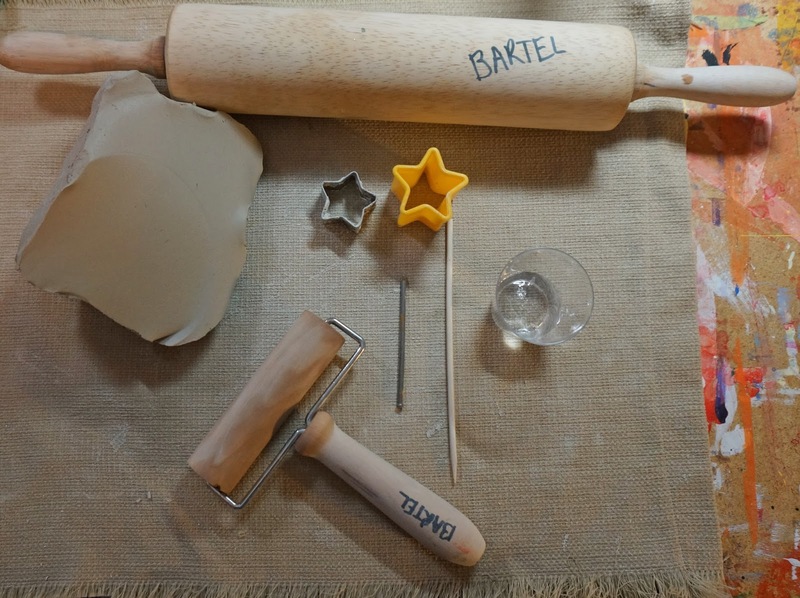 The original inspiration was a picture on Pinterest that was unglazed and with no instructions so this my adapted version for school. It comes in 3 pieces that nest together. 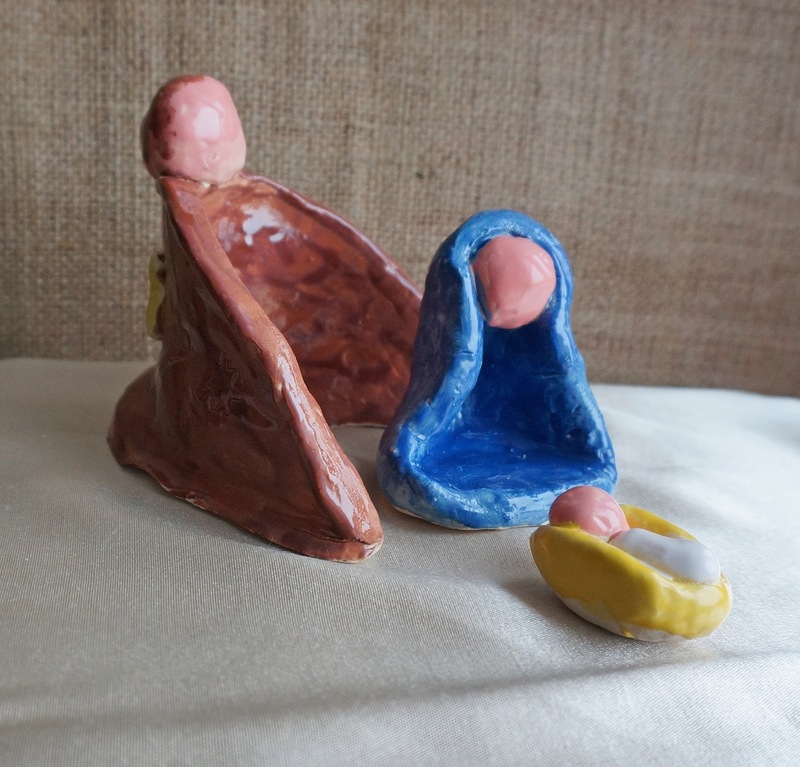 That way you can put Mary and Joseph out early and then add baby Jesus on Christmas Day. 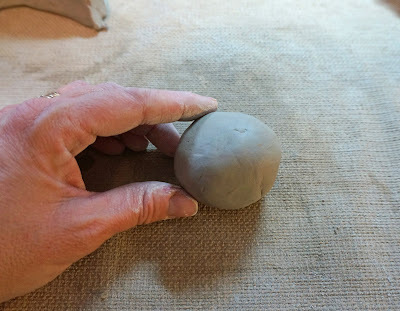 - clay, I have a kiln at school so I use a low fire buffstone. You could try this with an air dry clay just make sure to seal it with a good sealer to help protect it. Each student gets a fabric mat for their desk. They also get a nail and a wooden skewer. They work in groups of 4-5 and share a large rolling pin and a star cutter. Every 2 students share a little cup of water. 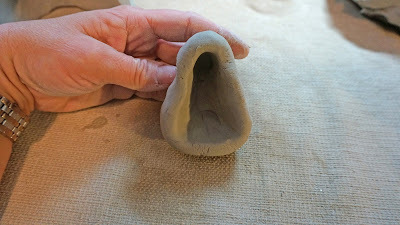 I give each student some clay. They roll a slab about 1 inch thick. 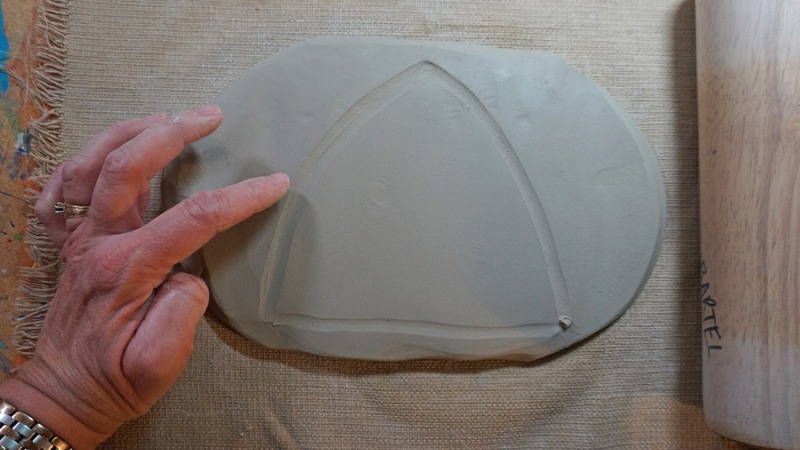 With their finger they gently trace out a triangle shape. 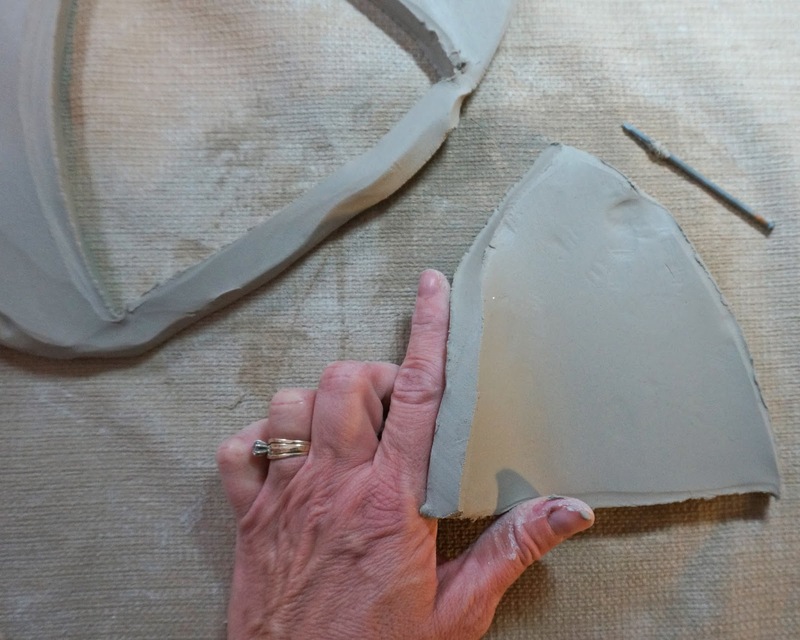 Round the sides of the triangle. No taller than the size of their hand. 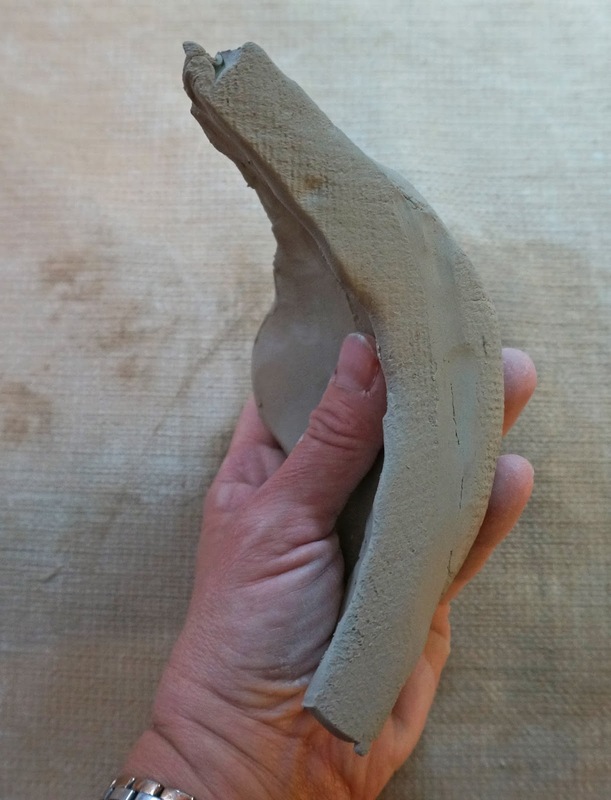 Using the nail the cut out this shape. 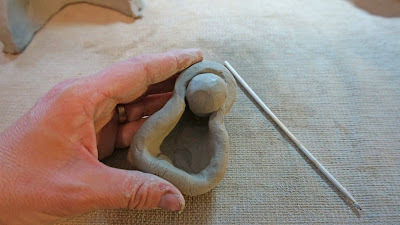 Here you can see the thickness of the clay. 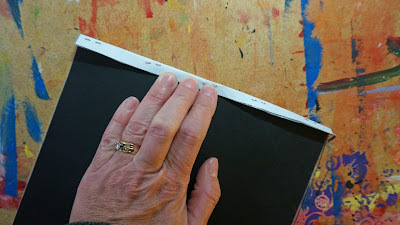 I use the width of my finger as a guide. Now I fold the sides in a bit for a nice curve and then I tap the bottom on the fabric. 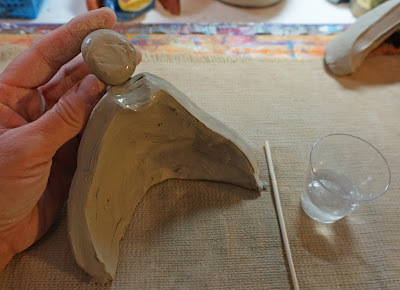 I'm making the base wider and flat. If I turn it over you can see the base has become wider and by tapping I get that nice flat bottom for stability. 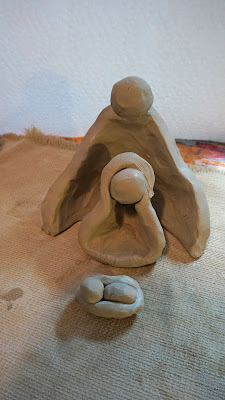 I spent a little time smoothing the clay so I don't have any creases on the inside of my Joseph body from where it goes from thin to thick at the bottom. Now I make his head. 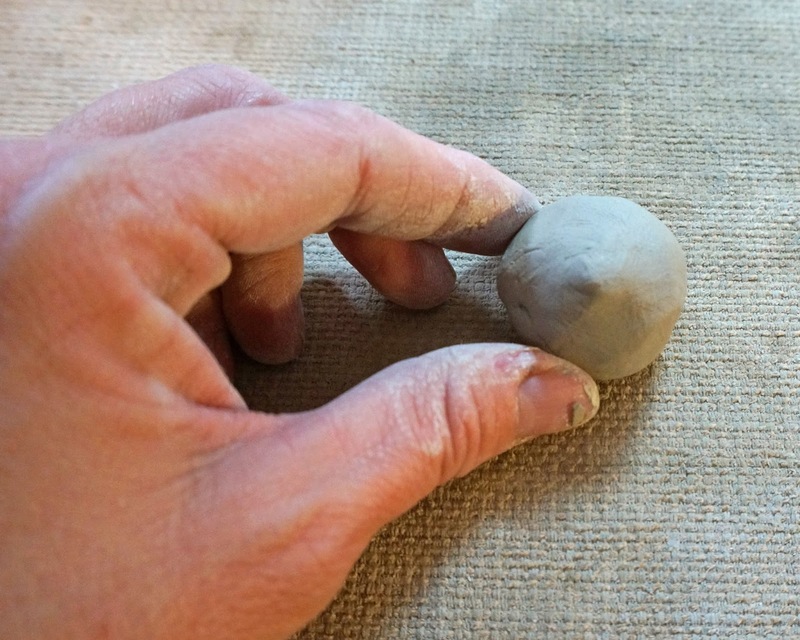 Roll a small ball out of clay. Tap on the bottom to flatten it. 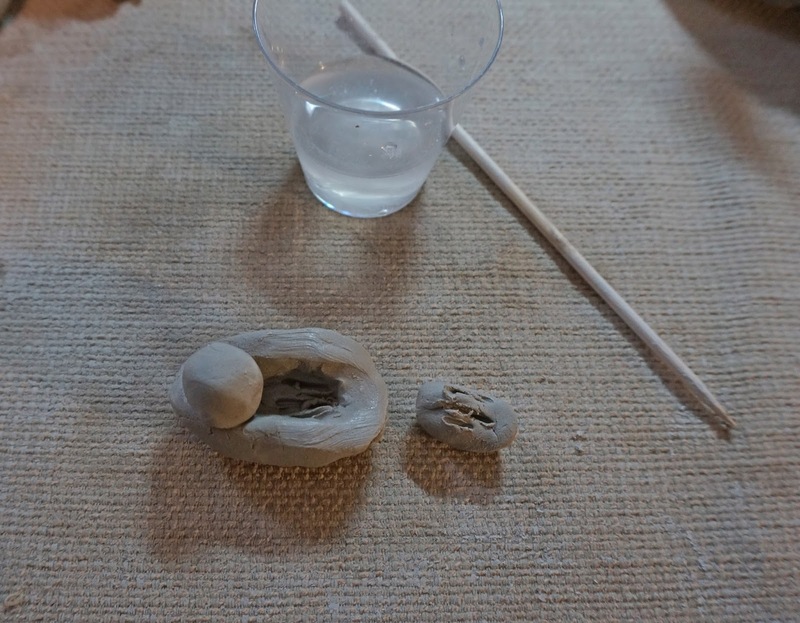 I make an indentation at the top of Joseph's body where the head will attach. The students and I review the "scratch, scratch, water,water" chant for attaching 2 pieces of clay together. Surface scratches with the skewer on the 2 parts that go together. ....and then a brush of water using our finger over the scratches. Then the scratches have "to kiss". When I explain it this way the kids always understand. On the back of Joseph we added a star or 2-3 cut from clay with our little cookie cutters. Now it's time to make Mary. 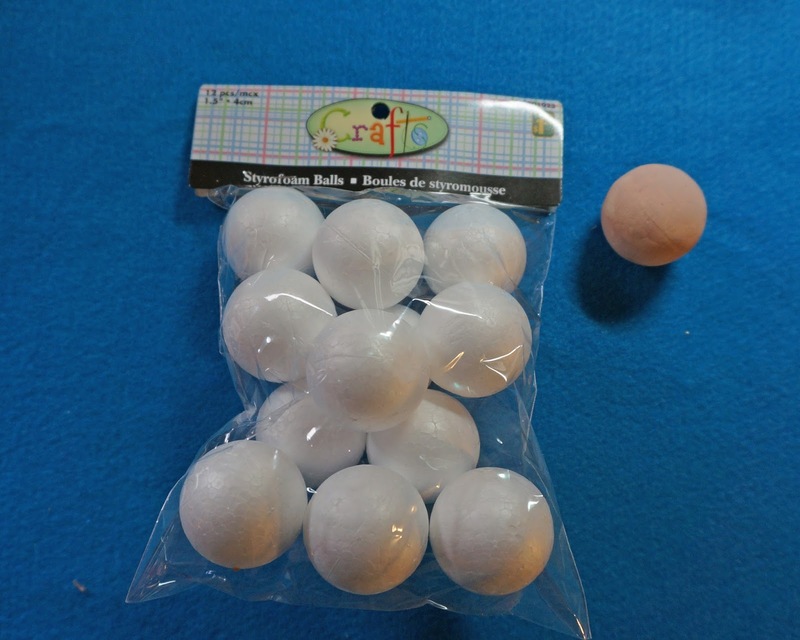 Roll a ball about the size of a small mandarin orange. 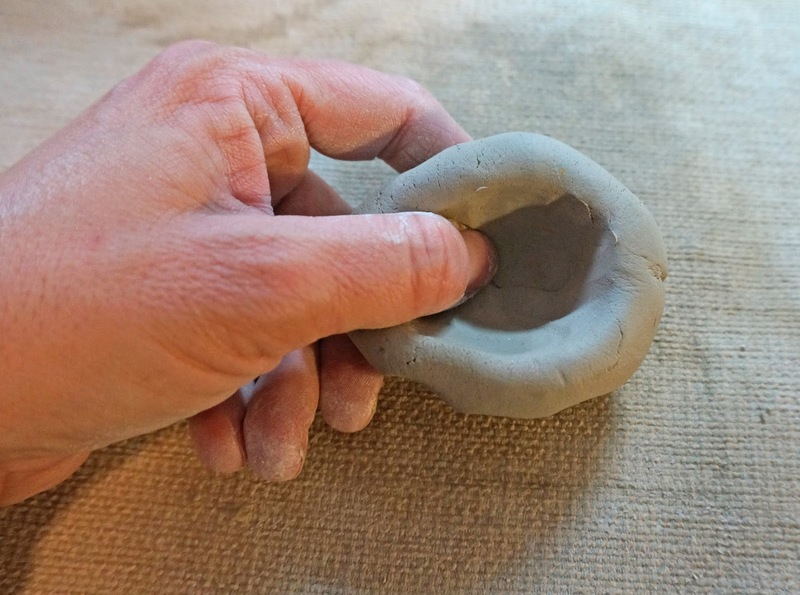 Pinch a pot using your thumbs. Pinch about 2 inches from one side of your pot in and tap the other end on the mat to create a flat bottom. 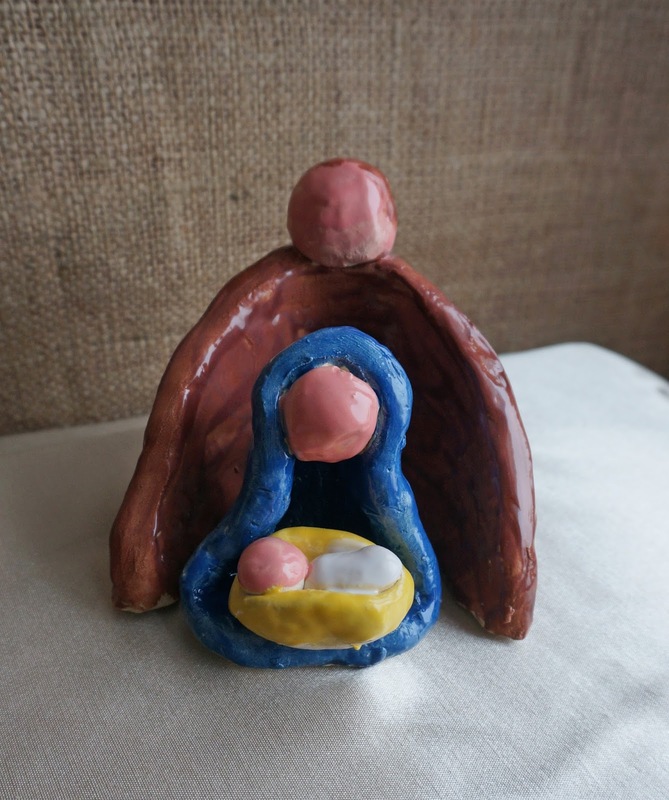 Check size to that of your Joseph so it will nest in nicely. 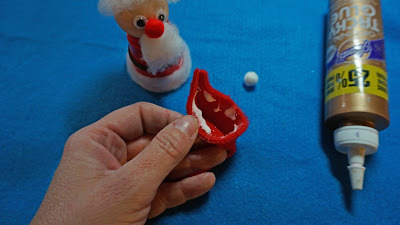 Roll a small head and attach to the pinched end. Roll a small ball about ping pong size. Pinch a cradle and then add small head and body for baby Jesus. The pieces should all nest together but for drying leave them apart. Set aside to dry for about 1-2 weeks depending on how dry and warm your location is. When the clay has dried out, put the piece on your cheek to test. I find here in Calgary it always feels a bit cold but it should not feel damp or clammy. Bisque fire in the kiln. Now it's time for glazing. I have about a million of these little plastic containers with lids holding my glaze in multiplies of 8-10. The may eventually dry out (over the summer) but I just add more of the same colour and a touch water and reconstitute them. Have the students glaze their pieces using 2-3 coats of colour. Before glazing I brush some wax resist on the bottom of all 3 pieces. 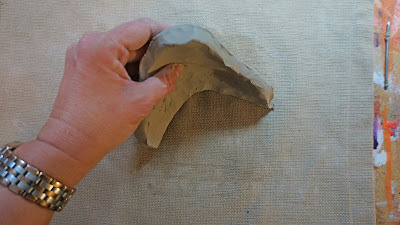 This prevents the glaze from staying there so we don't get any stuck on pieces on our kiln shelves. Some of the Joseph's have hair some don't but we stayed away from adding faces. 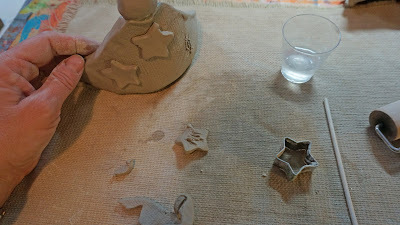 When the glaze is dry you can fire them again. I can see this becoming a very popular project for my Oct and Nov residencies! It's that time of year again......I am knee deep in preparations for Christmas Craft Day. 420 kids doing 12 crafts on one spectacular day. 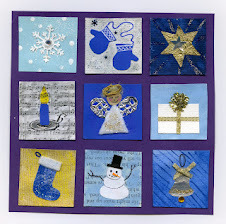 I have some new crafts this year that I will be posting on the blog. 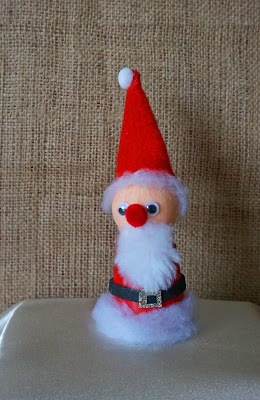 First up this mini Santa. He is only 15 cm or 6 inches high. Made with easy to find items from the Dollar store. 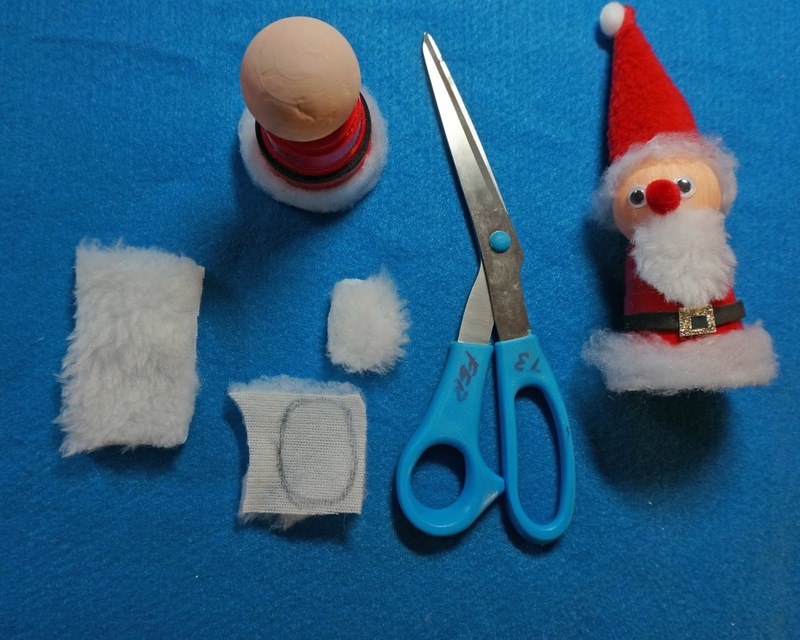 - Styrofoam head, around 4cm or 1.5"
- white and red (or pink) pompom, 10mm or .39"
The body of the Santa is this red shot glass I got at the Dollar store. Still very affordable. I also bought snow fabric and I cut it into strips about 15 cm or 6 " long and fairly skinny (1.5 cm or .5"). 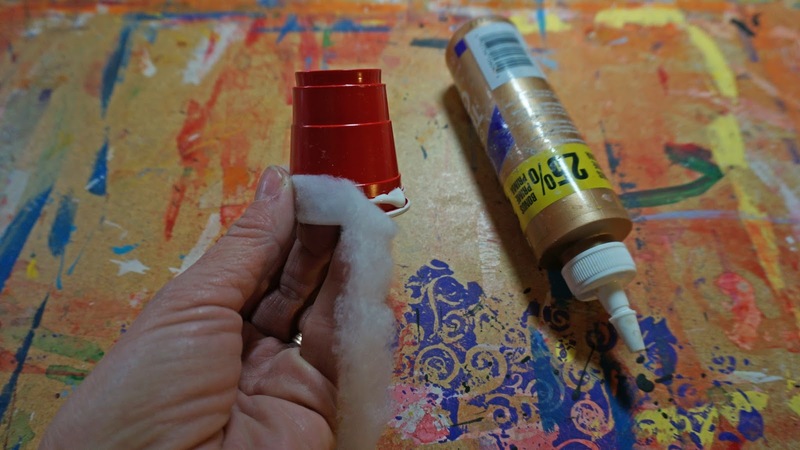 Glue along rim of cup. I then add the belt. 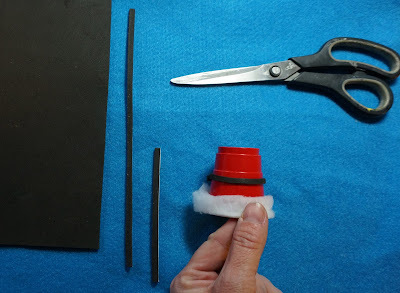 From a sheet of black sticky back craft foam I cut a slender strip the short way. 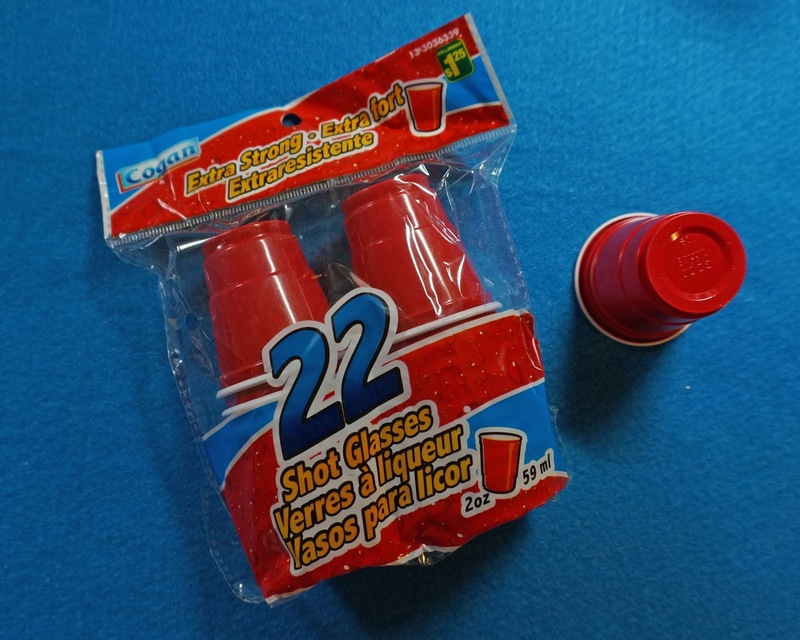 I cut that strip in half, peel away backing and stick to cup just below that line on the cup. Now I also bought these Styrofoam heads. For craft day we paint these ahead of time. 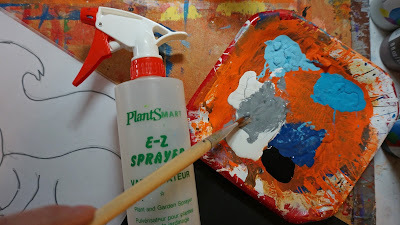 Easiest way is to stick them on a skewer paint and then stick skewer into a Styrofoam block to dry. With 420 I will do this over several days. 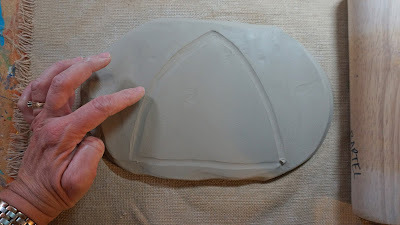 When the head is dry slice a little off the bottom to make it flat. I just use a plastic knife. 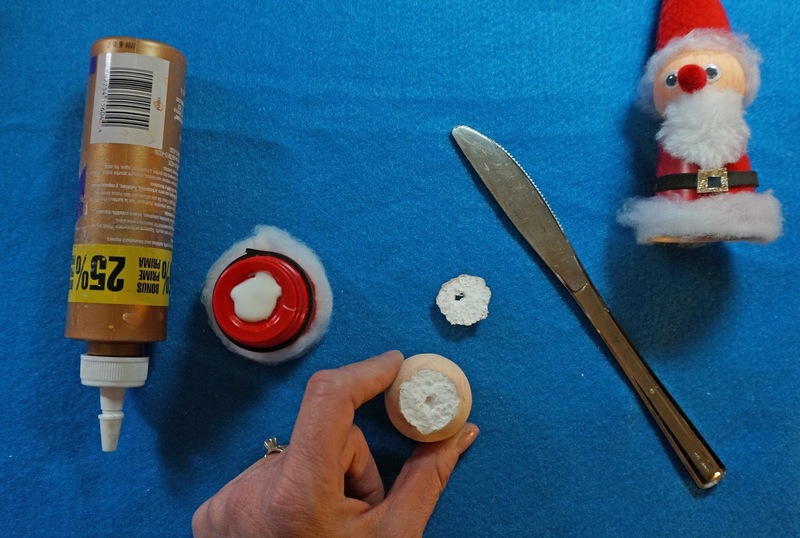 Put glue on top of shot glass and then stick flat end of head into the glue. Now add some hair (it also helps us glue on the hat). 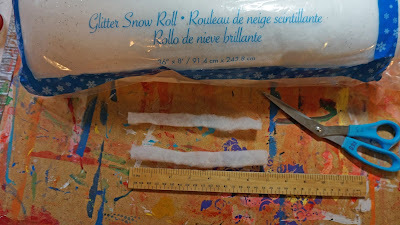 I take that same snow fabric and pull it a bit to make a clump. Put some glue on top of head and press hair in place. 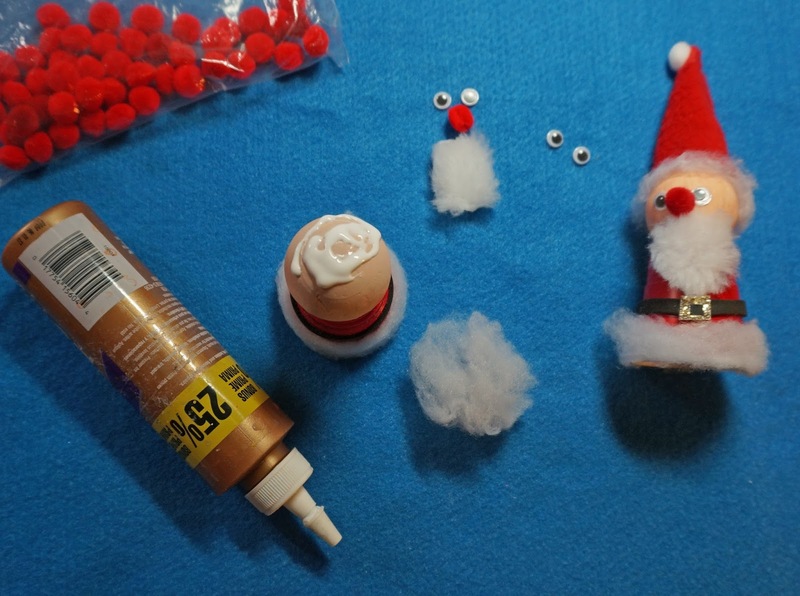 You then can glue on the googly eyes and pompom nose. For the beard I use some white fun fur. You want the short kind, just a bit fuzzy. If you can't find any you could use white fleece fabric. I cut an oval and then glue into place. Now it's time to add a hat. The hat starts as a triangle of red fleece fabric. The bottom is about 13 cm or 5 " long and the sides are 10 cm or 4". If you curve the sides a bit it makes a better hat. For school I pre glue the hat with a glue gun so it's ready to be attached to the head. and then place on the hair. The hair helps it stay in place. 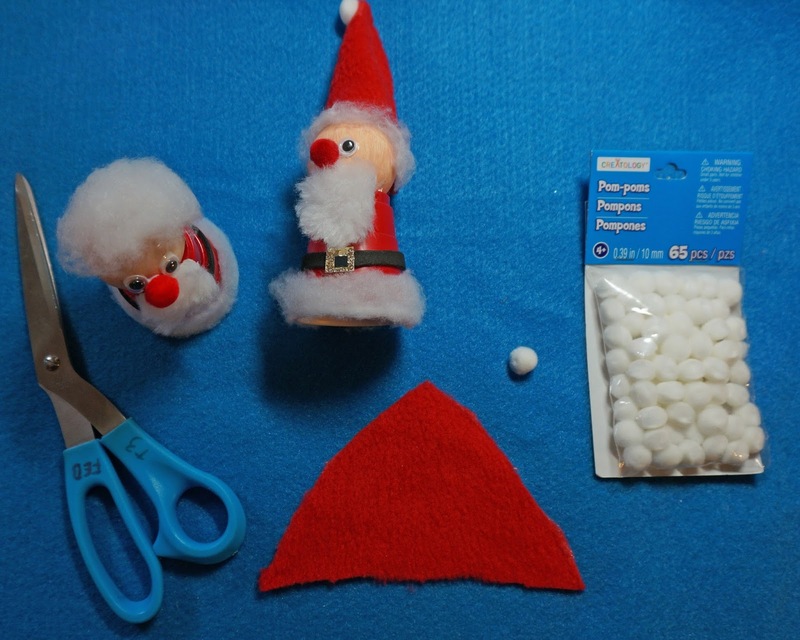 Add the white pompom to the top of the hat. Almost finished just have to add the belt buckle. 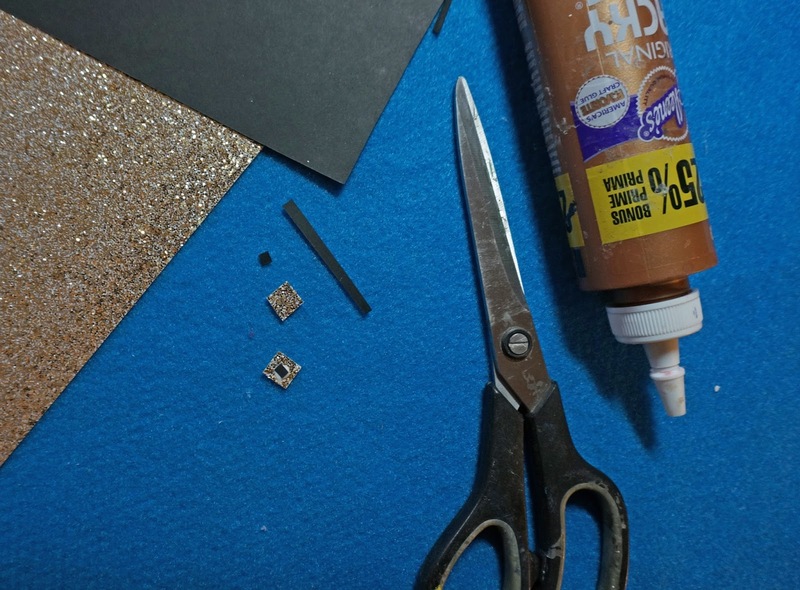 Cut a small square from some gold glitter paper. 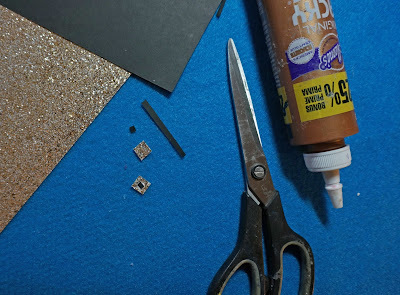 Cut a tiny square from some scrap black paper and glue into center of glitter paper. 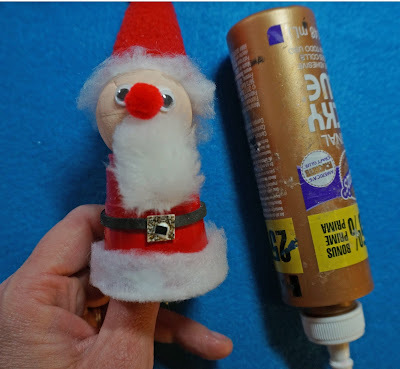 Glue the buckle on to the belt and your mini Santa is done. 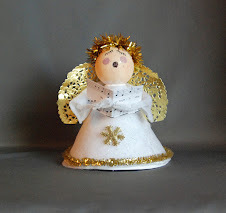 These can decorate your tree or sit on the mantle. You could even use them as place settings for your Christmas dining table. 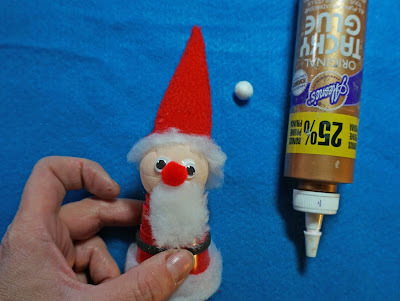 Hope you make a few and I can't wait to see the hundreds of them being made on Craft day. Today is my day on the Sharpie Blog Roll in support of a new book by Kathy Barbro, "Sharpie Art Workshop for Kids". I'm especially thrilled because I was one of the project contributors. Kathy has put together an awesome book and it was amazing to be part of it. 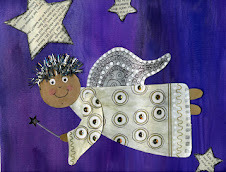 You can check out her Facebook page to enter the giveaway contest. 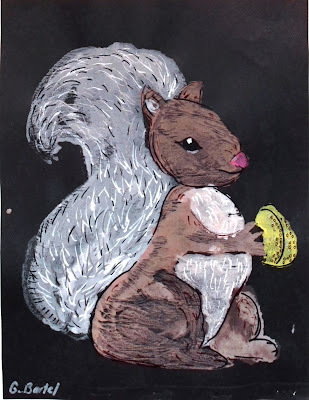 I also have this great squirrel mono print that has sharpie details to share with you. To make our mono print with have to prep our papers. We are going to make a paper booklet. 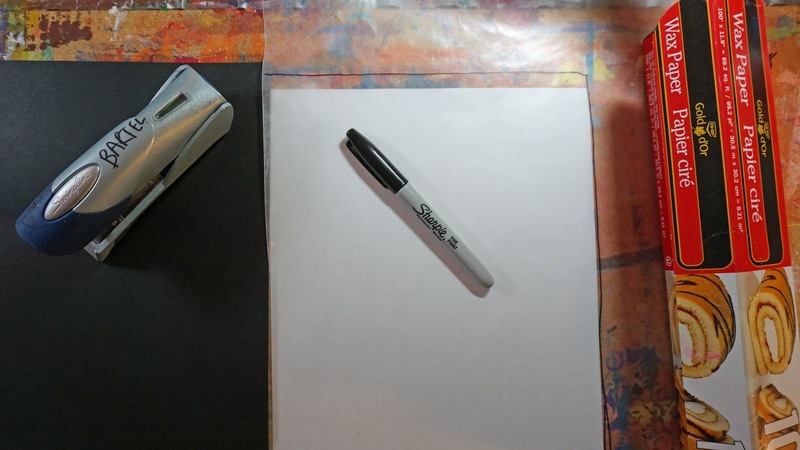 You need a piece of drawing paper, a piece of wax paper, and a piece of construction paper. Cut them so they are all the same size. 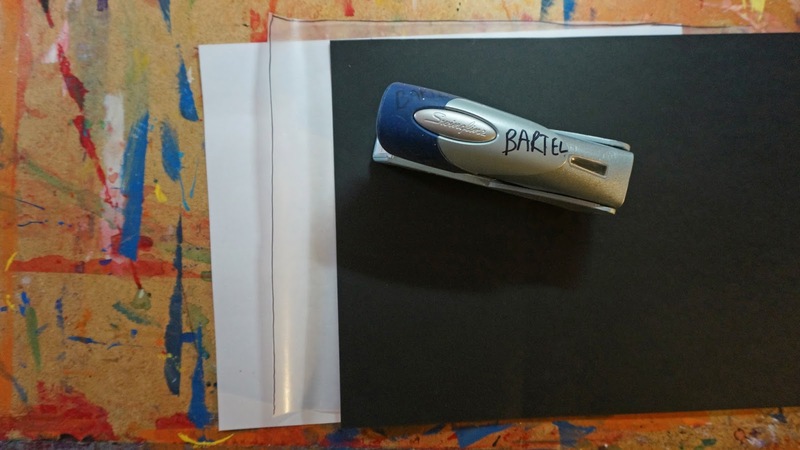 I use a sharpie to mark the size I need on the wax paper. Line all 3 pieces up and staple them together along one of the short ends. I use a line of about 5-6 staples. I'm going to be going back and forth thru the pages so I make a fold to make this easier. Open up your booklet to the drawing paper. Make your squirrel drawing. 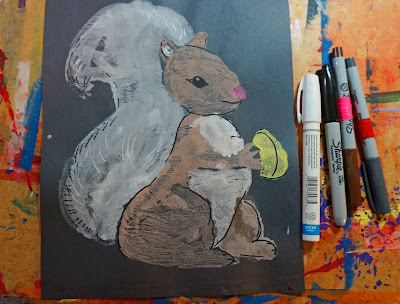 I find it helpful to provide younger kids with a tail shape to base their drawing off of. 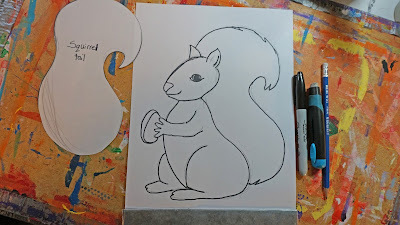 When finished, outline with (you guessed it)...Sharpie. Fold the wax paper page over top the drawing, you should be able to see it clearly thru the wax paper. 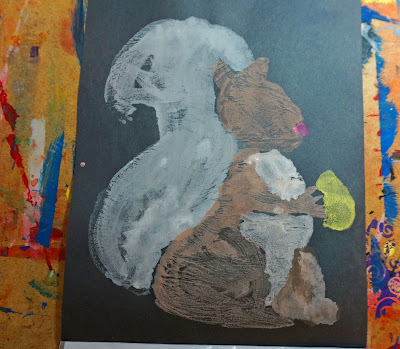 We are going to paint on the wax paper and then transfer this to the construction paper. 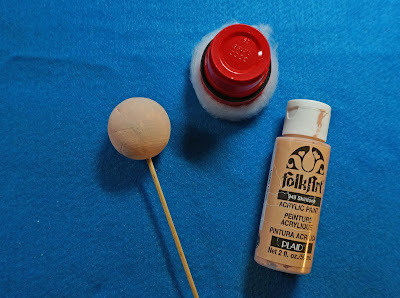 It helps to work in a small section at a time and it also helps to have your paint a bit watery. I use a spray bottle to add a bit of water to my paint. 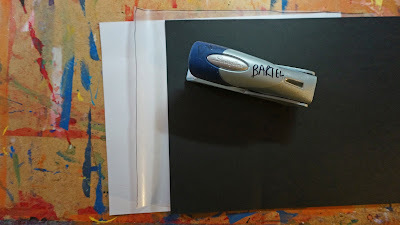 I'm using black construction paper so I make sure to add white to all my paint colours. It makes them show up better on the black paper. 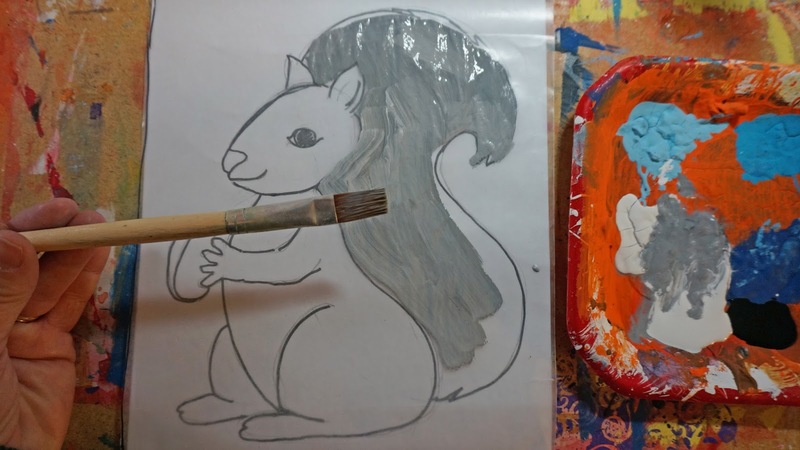 Here I'm painting in the tail. 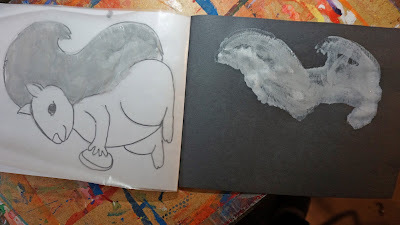 I only work in small sections because I need to transfer my print while the paint is wet. 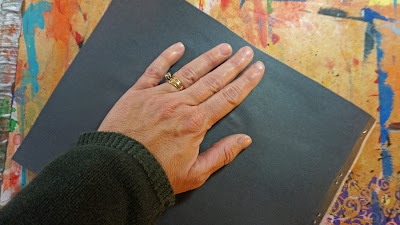 When I finish painting in the tail I fold the black paper over and give it a bit of a press. 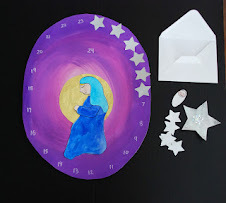 Construction paper works best for these mono prints as it soaks up the paint, other papers like cardstock can slip and smudge. 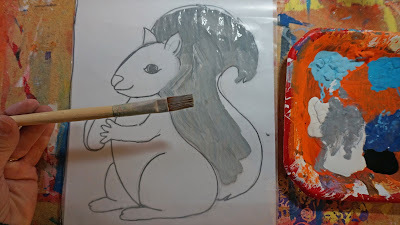 Slowly pull the construction paper back and the paint will have transferred from the wax paper. It will be a mirror image. Continue this process bit by bit until you have made your full print. You can leave your booklet intact to show the process or remove the wax and drawing papers. Now you can add the final details. I used black sharpie, white sharpie, silver sharpie, and brown sharpie. I love this mono print project and I use it a lot at school. 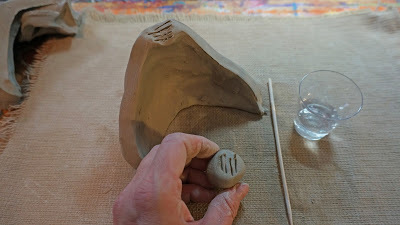 I have another post showing this process only with an eagle here. 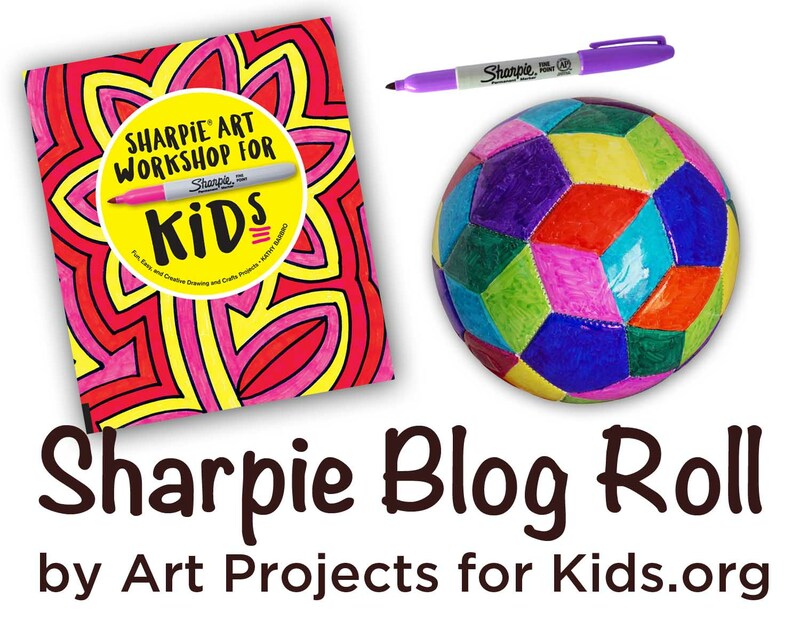 Be sure to check out "Sharpie Art Workshop for Kids" by Kathy Barbro and see if you can find my project.